If you reside near the Statesville, NC area and are looking for holistic dental care that does not use silver amalgam, you will be right at home at Virtue Dental Care. At our practice in Yadkinville, we offer a variety of safe and healthy holistic services that keep your smile healthy and beautiful. All our dental services are biocompatible, and we do not use silver amalgam fillings. 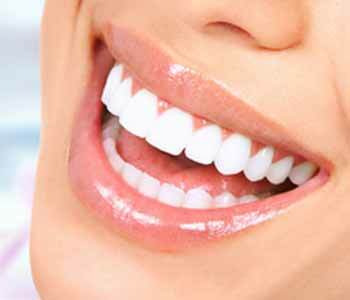 In the following article, we’ll highlight the benefits of holistic, amalgam-free dental care. Amalgam is a material made of a mixture of metals that has been used for decades to fill cavities. The silver material can contain approximately 50 percent mercury, a substance that can release toxins when heated. When individuals with amalgam fillings bite or chew their foods, the filling can become warm, releasing mercury vapors into the body, which can impact overall wellness. Dr. Virtue does not believe in the use of amalgam fillings in his practice, even though it is still used by many other traditional dentists. Instead of amalgam, Dr. Virtue chooses to offer biocompatible fillings, which are natural-looking and safe for the mouth and body. Safe – Composite resin fillings do not contain mercury or any other harmful materials that could potentially compromise overall health. Conservative – Composite resin fillings are placed directly into the tooth, which requires less removal of the tooth as opposed to amalgam fillings. Additionally, composite resin fillings do not expand or contract with changes in temperature which eliminates fractures in the tooth and reduces the chance for additional bacteria to enter the tooth. Natural-looking ­– Composite resin can be matched to the existing tooth so that it is natural looking and blends in seamlessly. Durable – Composite resin is a strong material that can withstand the natural bite and chewing force on teeth for a restoration that will last a long time. What if I already have amalgam fillings? In addition to the placement of new composite resin fillings, we also offer the safe removal and replacement of existing amalgam fillings. During this highly specialized procedure, our experience and trained staff follows IAOMT protocols for the safe removal and disposal of the amalgam filling. If you would like to discuss having your amalgam filling replaced with a biocompatible alternative such as composite resin, we recommend scheduling a consultation to discuss this. Once it is determined that a patient has a cavity in need of a composite resin filling, we can schedule an appointment for the restoration. First, the decayed portion of the tooth is removed and thoroughly cleaned out. Then, the dentist will place the composite resin filling material directly into the tooth, filling in the area. A special light is used to harden the resin. Afterward, the dentist will evaluate the bite and then shape and polish down the filling, so it feels comfortable and looks just like nearby teeth. Any patient with tooth decay requiring a cavity can be a candidate for composite resin fillings. While many dentists still opt for amalgam fillings, we believe that composite resin is a much safer option while also offering the benefit of being more natural-looking and durable. If you have an area of decay that is too large for a composite resin filling, we can still recommend other safe, holistic options. Inlays, onlays, and crowns can be placed to repair the damaged tooth structure and restore appearance and functionality. In our office, we use CEREC technology to fabricate these restorations in our office while you wait. Virtue Dental Care is committed to providing patients with cutting edge technology and holistic dental treatments like biocompatible fillings to preserve oral health and total wellness. Our goal is to help our patients enjoy a lifetime of healthy, sparkling smiles. If you are in or around the Statesville, NC area, please call us today at 336-606-0040 to become a part of our dental family.